The VirtualBox provider is compatible with VirtualBox versions 4.0.x, 4.1.x, 4.2.x, and 4.3.x. 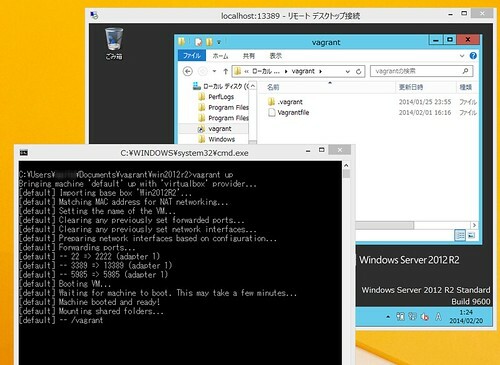 Installed the plugin 'vagrant-windows (1.5.1)'! 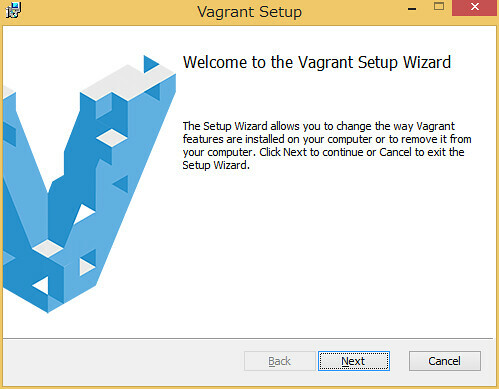 Create a vagrant user, for things to work out of the box username and password should both be "vagrant". Disable Shutdown Tracker on Windows 2008/2012 Servers (except Core). Disable "Server Manager" Starting at login on Windows 2008/2012 Servers (except Core). Successfully added box 'Win2012R2' with provider 'virtualbox'!